AC: "Over and over, we've heard this." ANDERSON COOPER: We also have more breaking news tonight, this out of Iraq, where we have now entered the fifth year of the war. Just moments ago, we learned that Saddam Hussein's vice president was executed by the Iraqi government. We're just getting details on the story. CNN's Michael Ware is live in Baghdad with the latest. Michael, what can you tell us about it? How did it go? 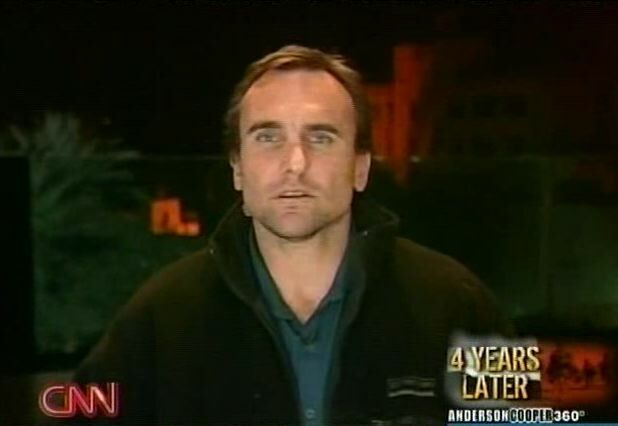 MICHAEL WARE, CNN CORRESPONDENT: Well, yes, Anderson. It's 5:00 a.m. in the morning here, of course, in Baghdad. So, there's very little details. What we have is that the Associated Press is reporting that another major figure from Saddam Hussein's regime, Taha Yassin Ramadan, Saddam's former vice president and a member of the Revolutionary Command Council, has been executed for the crimes against humanity relating to his role in the deaths of 148 people in the town of Dujail in 1982 -- the news of the execution coming, of course, on the fourth anniversary of the war. WARE (voice-over): One man, American soldiers all around him, some just yards away, exploits a blind spot in the soldier's defenses. The video was shot by al Qaeda and widely distributed in Iraq. The man is planting bombs beneath a heavily armored Bradley's belly. He slips away. Then... It's not clear whether anyone was hurt, but the soldiers unleash a storm of fire, with nothing to shoot at. This is the war in Iraq, entering its fifth year. And the man who did this from al Qaeda represents but one of America's enemies -- the rest, Sunni insurgents, Shia militias, and Iranian operatives equally determined, equally stealthy. American and Iraqi officials acknowledge as many as 20,000 Sunni insurgents alone are still out there. Despite some successes, coalition forces are attacked around 100 times a day, almost twice as often as two years ago. With America's enemies Iran and al Qaeda emboldened, it comes to this: the Battle for Baghdad. These Stryker vehicles are how the U.S. forces are taking that battle into the militia- and insurgent-controlled neighborhoods, and becoming a signature of the American reinforcements ordered by President Bush. Nearly 30,000 are coming, with 10,000 already in place. This is make-or-break time. Even the U.S. military says so. MAJOR GENERAL WILLIAM CALDWELL, U.S. ARMY SPOKESMAN, COALITION FORCES IN IRAQ: By the fall time frame we would anticipate that we, in fact, will be able to see a discernible difference. WARE: In this new offensive, 24 outposts have already been built across the capital, American soldiers keeping their Iraqi counterparts in check to curb their sectarian bloodletting. The early signs are good. Sectarian murders have been down by half since mid-February -- but, last week, another spasm of killings. CALDWELL: I would again caution everybody about patience, about diligence. This is going to take many months, not weeks. WARE: Just two months ago, firefights raged on Haifa Street in the heart of the city. Now, U.S. commanders here concede insurgents and militias are lying low. Instead, the battle is intensifying outside Baghdad, such as to the north here in Diyala Province, where a Stryker battalion has just been rushed by Washington's new war commander, General David Petraeus. Petraeus will soon deploy almost a combat division, about 10,000 troops, into long-neglected rural areas where insurgent and militia groups are supported and supplied. GENERAL DAVID PETRAEUS, U.S. COMMANDER IN IRAQ: I should point out that although the focus, the priority, clearly is Baghdad, anyone who knows about securing Baghdad knows that you must also secure the Baghdad belts, in other words, the areas that surround Baghdad. WARE: He knows he must be quick. In this carnage, Iraqis continue dying in the hundreds every month -- and, now, fear sown with plumes like this one from chlorine gas bombs, three last weekend alone. And the insurgents are improving their methods, such as when using missiles to down helicopters. With more than 3,200 American troops killed, the insurgency is evolving. This al Qaeda video shows not just one mortar, but a whole battery, teams of men trained better than ever, a mark of America's unrelenting war. COOPER: Michael, the U.S. is quick to point out that violence is down. What are -- what's behind the numbers? WARE: Well, it's a number of factors, Anderson. And nothing is clear at this stage. U.S. commanders are very, very quick to caution anyone from drawing too much from what we're seeing as a gentle ebb in a particular kind of violence, sectarian murders here in the capital. A lot of that can be attributed to a number of things. Many of the death squads or their facilitators are literally being babysat by American forces, being kept in their posts at night, when they would be out killing. Also, a lot of the militia and insurgent leaders and their apparatus have moved outside of the city, displaced. So, we're seeing more violence in other areas, such as Diyala, where General Petraeus has just had to rush a new Stryker battalion to shore up the defenses -- Anderson. 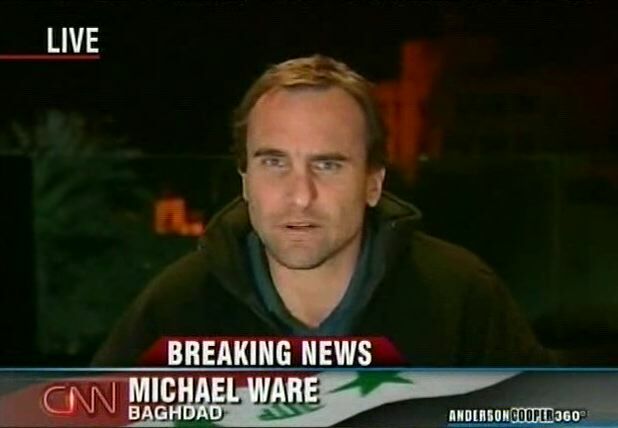 COOPER: Michael Ware reporting from Baghdad on this terrible milestone today, the fourth anniversary of the war, the fifth year of the war beginning. ANDERSON COOPER: And that's how the war began four years ago, with what was called Shock and Awe. Remember that? Tonight, the shock and awe has given way to second guessing and serious questions. Two journalists who know the war from inside out are CNN's Michael Ware and "New York Times" chief military correspondent, Michael Gordon. Both joined me earlier to talk about a troubled mission. COOPER: Michael Ware, over the weekend, Prime Minister al-Maliki said that the sectarian threat is all but over and that al Qaeda is now the main enemy, the main threat in Iraq. Is that true? MICHAEL WARE, CNN CORRESPONDENT: Well, that's certainly not how his American counterparts -- either the civilian administrators in the embassy, the diplomats nor the U.S. military commanders here on the ground -- see it. They still say that they're facing a sectarian conflict, a civil war, Anderson. COOPER: Michael Gordon, some attacks are down. Certainly, sectarian attacks are down. What is going on? Are the militias simply lying low? MICHAEL GORDON, CHIEF MILITARY CORRESPONDENT, "NEW YORK TIMES": Well, Anderson, there has been a shift, I would say, in the threat, in that some of the Shiite militias have gone to ground. Some have left Baghdad, but by no means all. But to a certain extent they're lying low. They may be trying to outwait the Americans. That's what's happening in terms of some of the Shiite militias. But Al Qaeda of Iraq, the Sunni-based insurgent group, has really picked up the pace. And they've been launching an increased number of car bomb attacks. And so at least in the short term, al Qaeda of Iraq and the Sunni-based insurgency has become a bigger threat than the Shiite militias and a more proximate cause of the violence in Baghdad right now. COOPER: And Michael Ware, we've heard that from General Petraeus, who said, look, a military solution is not possible by itself, that there have to be other things going forward. Are there other things going forward, political, economic, social? Are there improvements in those areas? Is the Iraqi government able to capitalize on this drop in violence, whatever the cause of it may be? WARE: Well, we've certainly been looking to, Anderson, but we've been hearing this from U.S. commanders almost since Saddam's statue fell in April 2003, that this was going to require a broad-based solution, that it won't be won on the battlefield alone. That it's going to require political efforts, reconciliation, economic upswing. Over and over, we've heard this. Now they're looking for Maliki to capitalize on the relative calm that is in the capital as a civil war is taking a breath. But at the end of the day, none of the fundamental building blocks of real power in this country are being addressed, either as a result of the surge or any of the political endeavors. Political power is still carved up by the Shia militias, many of whom, western intelligence claims, are backed by Iran. None of that is effected. And the infrastructure of the Sunni insurgency and the Shia militias that was in Baghdad, though pressured, is still intact. We've seen it simply shift outside of the city. Look at Diyala province. That's where a lot of the fight moved. Violence has become so bad that the new war commander, General Petraeus, had to rush a battalion of Strykers to shore up the defenses, Anderson. COOPER: And finally, Michael Gordon, the time line that U.S. military commanders like Petraeus are talking about seems at odds with the time line that we're hearing from politicians in the United States. At some point those two time lines have to come together. How does that happen? GORDON: Well, right now, Anderson, there is a disconnect, really, between the realities in Iraq and the political situation in Washington. In the Congress now, you have people debating all sorts of resolutions that would begin the withdrawal of troops and people arguing that the surge has failed. In fact, the surge is just in the early stages of getting under way. And Lieutenant General Ray Odierno, who is really the No. 2 commander in Iraq, he has submitted a -- his own personal recommendation to General Petraeus, which is that the surge be extended through February 20008. What General Petraeus has said, that it should go well beyond the summer. So I think there's a sense in the theater in Iraq that this is really an ambitious undertaking. If it begins to work, it's going to take some efforts to sustain. I think it's a more sober realization of the task ahead. And you have to contrast that with what we have in Washington, which is really a lot of impatience with the situation in Iraq and not a lot of, well, not a lot of patience to see things through. And there is a contradiction between the two, which has yet to be resolved, and that's really going to be the political drama for the rest of this year. COOPER: Michael Gordon, Michael Ware, appreciate you guys' perspective. Thank you.